How to help SPD Children and Fussy Eaters love food and eat well! 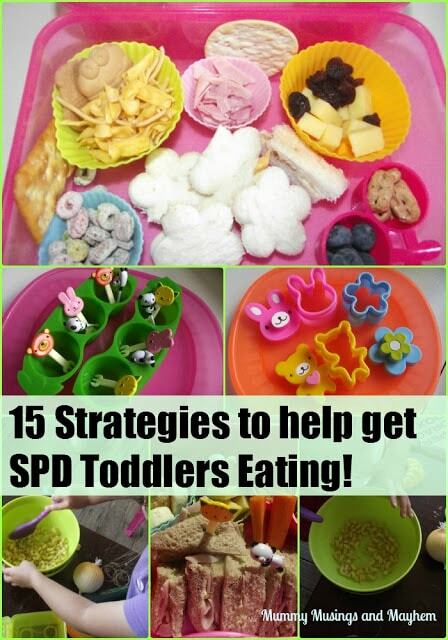 15 Strategies to encourage SPD toddlers to eat! Many readers will know that I have faced an ongoing struggle with getting one of my twins – Ruby, to eat well. 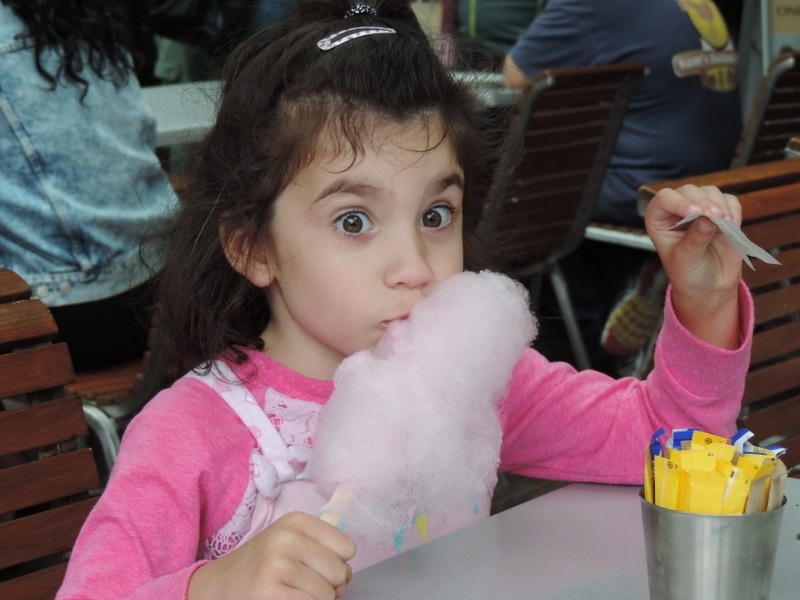 She has sensory processing disorder (SPD) and this unfortunately places her in another category entirely from the usual picky and fussy eating toddler stage! I now know I am not alone though as I have had many emails from concerned parents and early childhood professionals also experiencing similar challenges with their children. It can be very easy for people to say that a child will eat if they are hungry and not to pander to a fussy eater but in my experience that is not at all helpful and frankly disrespectful to both adult and child. We need to remember that children are individuals just like adults – they have different needs and feelings about what is comfortable for their own body. The next time someone gives this piece of ‘helpful’ advice I urge you to follow your own instincts and dig a little deeper for the sake of the child involved! Although I am by no means a professional in this area or an expert I thought it might help to share some of what has been working for us so far on this journey with food. If you’d like to read more about our journey with SPD and developmental delays you might like to read THIS POST. Ruby was hesitant to start solids… unlike her twin who couldn’t get enough and demanded more after a taste at 4 months! When she began eating purees she really loved them though…and then I began to introduce lumps and textures. Ruby began to gag and vomit frequently at meal times…she could fill her whole highchair tray with what seemed like 24 hrs worth of food and milk in an instant.I felt so helpless just watching her. I could see she was becoming too scared of food to eat it. Many people told me she just needed to get used to her gag reflex but the Mummy and early childhood educator instinct in me knew there was something more to it. She seemed scared to touch food and when she did she often lifted it to her chin or cheeks to feel and smell before touching it to her lips. I had an awful time trying to get her to pick up finger food and she seemed to be getting fixated on certain foods she would eat…..one of which was a jar of pureed baby food I had once offered on a day outing. I soon realised she was only eating the food she hadn’t gagged and vomited back up in the last few months. Her diet became very limited and it was very frustrating trying to find something different that she might eat other than rice crackers, cruskits and pureed food . 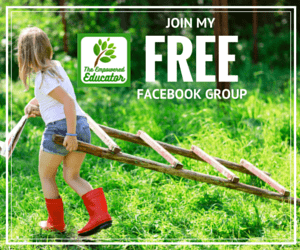 As a Mum and educator I was becoming more and more concerned…and frustrated. Her twin was now eating lumpy foods and even trying some cubed meat and other finger foods. Little did I know it then but our journey with food and SPD sensitivities had begun! Slowly I began to realise that this wasn’t just fussy eating….she often seemed to experience real terror when offered some foods. There was a lot of staring at foods on the plate but not much touching or eating. Around this time we were finally referred to an occupational therapist and a dietitian. The dietitian wanted Ruby to begin taking a supplement formula everyday but I had to inform her that she would not drink anything she wasn’t used to…she would know instantly it was different and probably gag and vomit. She did…so we moved onto a supposedly odour and taste free version…it was rejected too. It was at this moment that I began to realise I needed to do some research of my own and work with Ruby here at home in the hope that maybe one day she would be able to enjoy a meal as much as her sister…..and I wouldn’t have to create something different for her every day with the hope it would be tasted (let alone eaten!). The occupational therapist we have been seeing every few months has been lovely but as we see her through the public system the help and support she can offer is limited. I decided to be proactive and support Ruby as much as I could even though it has often felt as though we aren’t making any progress! It wasn’t until our last visit with the OT when she reminded me of where we had started and what Ruby is eating now that I began to see that we really have made some fantastic progress (see end of this post for a progress update at 6 years old!). I am so proud of how far she has come and how brave she is in facing her sensory fears. These are some of the things that have so far worked for us….some I researched, some I worked on with the OT, some I just tried of my own accord….I really hope if you are also travelling this road with your child as a parent or as an educator working with children and families that these tips can be of some help. We looked at Ruby’s posture when eating. She wasn’t yet able to touch the footstep part of the highchair so we tied a rolled towel around the bottom that she was able to rest her feet on. This had a marked improvement on the amount of time she would spend sitting in the chair without wriggling and growing distracted. I really think this tip helped her enormously and she felt more secure and ‘balanced’. We also used a few old phonebooks on the floor under the girls child sized table and chairs so she could rest her feet on them and maintain good posture and balance. I have since used this technique with children in my family day care service as well and noticed that all children ate better when their feet were well grounded – even the babies and younger toddlers in highchairs – make sure you find ways to help their feet connect with a hard surface. It really helps with the wriggling and fussing while eating – try it! We began starting the girls meals with a hard ‘munchable’ as Ruby seemed most comfortable with crunchy, hard food items. It also ‘warmed up’ her mouth for chewing. She took a particular liking to little round rice crackers and rusks….and still enjoys these at 2 yrs. Instead of trying to fight this I learnt that she needs these ‘safe’ foods on her plate and I used them to begin adding some scrapes of different spreads and textures…sometimes it works…sometimes not! Ruby likes round, crunchy crackers…I’m not sure why but I have used this to advantage over the past year by introducing other crunchy, round shaped foods! I have been mashing and grating up vegies and adding rice (which she won’t eat on its own), grated cheese (which she won’t touch if by itself) and more recently some beef and chicken mince as well as lentils. It seems if they are rolled into little patties, coated in panko crumbs and fried with a dash of salt…she loves them. I have been so excited to finally see her eating some meat, cheese and vegies. The texture has obviously been key for her but I do try to make each type of patty slightly different in shape so she knows she is actually trying something different and doesn’t get stuck on wanting that same food each night. To see some of the recipes that have been working for us recently you might like to visit these other posts…. We introduced forks and began loading them with different foods that previously she would not touch. We started with foods she liked so she could enjoy the new experience of the fork and then we began introducing foods that weren’t as favoured. To my absolute surprise this one began to work really well! She wasn’t eating the food but she would at least pick it up using the fork and touch it to her mouth…a small victory. I decided to add a few little bento type forks to introduce a novelty factor and these worked wonderfully! I brought these ones from Ebay but I have seen similar types all over the net! They are an inexpensive tool and I highly recommend them for those children that won’t pick up certain foods. I have also used craft/ice-cream sticks as a tool for trying new foods. These frozen banana sticks were a hit and yet she would normally not eat banana as the texture is to slimy. We encourage Ruby to mix some of the textures she does enjoy with some she is unsure of. For example we modelled dipping her favourite rice crackers into a slightly lumpy puree. This has been quite successful for getting her to try some new foods that she won’t take a spoonful of. We use this technique so often that she regularly uses the phrase ‘dip, dip’ before trying something with lots of encouragement. I was over the moon when this first worked with a runny boiled egg and some toast fingers…she loves them now…as long as she can ‘dip, dip’ with her toast and not touch the actual egg. So basically we use her favourite crunchy foods to dip into less favoured or new foods…I really have been surprised at how successful this has been! I try to eat with the girls as often as possible as she really does like to watch and then try similar things on her plate. This isn’t always feasible as the girl’s have dinner at 5.30pm and the family isn’t always ready for dinner then but we make a special effort on weekends to all come together and make mealtimes a family event. They also eat with their big sister most nights and Ruby will often try foods that Miss Teen eats for afternoon tea after school. Amazing what a little modelling can do! I think it has been really crucial to do as much messy, sensory play with Ruby as possible so I have made sure to include a little each day…it doesn’t have to be a huge activity with lots of preparation…just something she can experience different textures, colours and smells…as well as having lots of fun along the way. 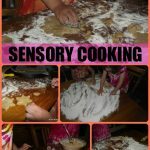 The messy play allows her to get more comfortable with mess on her hands and to become more comfortable with the different textures of slimy, soft, rough, bumpy and hard …all the textures of food! 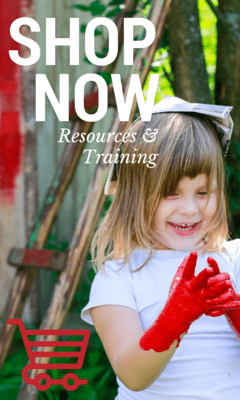 You can find some of my favourite messy play activities in this post…. As well as messy activities I have provided activities using food as play…the aim is for Ruby to see food as ‘fun’ not scary, and experience different textures and tastes while playing. We have done some painting with pureed apple, yoghurt, mashed banana and jelly. Sometimes I also add their favourite little farm animals and people and we ‘feed’ the animals whatever it is we are playing with…and if some is eaten by Ruby too…then all the better!!! I know many early childhood educators are not comfortable with the idea of using food in play but sometimes you have to challenge your own perspective and go with what is best for the child at the time and for Ruby and many other sensory sensitive children I have worked with in my capacity as educator it has been a lifesaver – a real stepping stone to actually being able to pick up a food and eat it because they are already comfortable and familiar. The sensory fear has been removed because they have already had fun playing with it. This was the first time Ruby touched and even tasted a little spaghetti…it took another month before she would eat it at mealtime but I believe playing with it first gave her the strength to actually eat it from a plate! As you can see there was lots of resting her face against it and just sniffing before any tasting! A few basic ingredients mixed with water provided lots of textured messy play fun around the face area! Such an easy activity with no fancy props…just lots of deep wonderful rice to explore with the senses! The props allowed Ruby to feel comfortable exploring the flour…she didn’t need to touch it straight away with her fingers but her curiosity was piqued! She used many different ‘handles’ before she began to use her fingers to explore the flour. 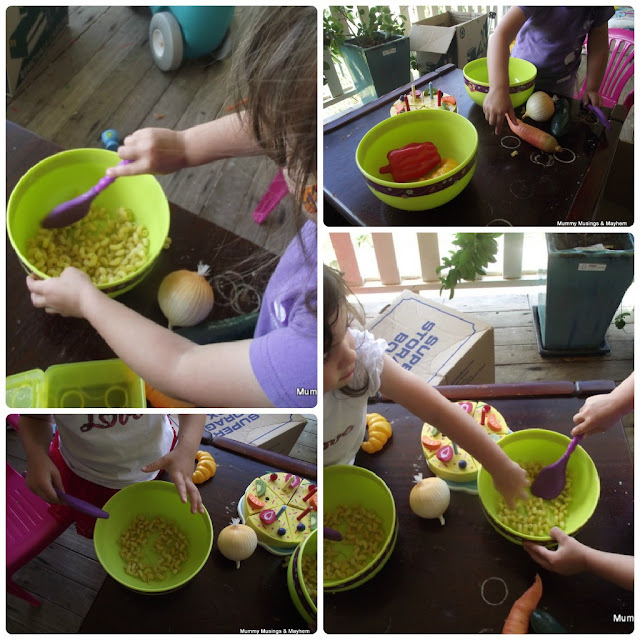 This is one of our favourite activities….dry pasta, bowls and spoons in their little play kitchen. Ruby quite often takes a bite and has now begun to nibble at the same pasta shapes cooked! Ruby used to be very wary of chunks in food so I continued to puree fruit to mix through her yoghurt and custard. We are slowly making progress in this area now by first coarsely grating some apple to stir through and then finely chopping. She is now eating chunks the size of a pea without spitting them back out! You can try this with any number of foods really….it’s all a step in the right direction! You just have to remember to do things like this very gradually…even though it is so frustrating. If we try to hurry the process she might gag or vomit and then we are back to square one so quickly and she has formed a distrust for that food again! I learnt very early on that Ruby eats better and sits in her chair for longer if she is distracted. I know this goes against many parenting principles but we eat with the TV on…usually one of Ruby’s favourite shows or DVDs. It helps enormously to keep her eating. Sometimes a small favourite book or squeezable toy also helps. Whatever works for your child but distraction helps us immensely! It also helps to keep most meals to the highchair but pulled up to the family table to enable inclusion…it is so hard to keep her still and eating if she just sits on a chair…we are working little by little to overcome this but not sure how successful we have been! Some months Ruby would only want to eat crackers and jar puree but the OT warned against offering them in the same way all the time or eventually she would become bored or tired of those foods and they would also be rejected. We had to find new ways of presenting the limited foods she liked so that her plate always looked different…yet safe and familiar to her in some way. Sometimes we changed the colour of the food, sometimes I changed the taste by adding seasoning…salt is something that seems to make food more palatable for Ruby (only tiny amounts of course). I have also played around with the texture of the purees by adding things such as oats and lentils to thicken them slightly. The idea is not to make the food look or taste so different that it becomes unfamiliar and therefore rejected….just make it a little bit different from last time. I often use cookie cutters or sandwich cutters to make bread look more interesting as sandwiches are still something Ruby finds hard to eat.She will now chew the bread at least but usually spit it all back out. But i count her at least tasting and chewing bread instead of the usual toast as a win! These little cutters also put a little imprint of the shape/animal onto the bread which add to the novelty value and make something she likes to try seem different! Again…I brought these from Ebay quite inexpensively! They were worth every cent too!! Although Ruby still won’t pick up cubes or slices of meat she will eat it pureed or moulied…sometimes! The little meat and vegie cakes have been my biggest success with meat so far but I also find that blending some of a stew or meat dish and mixing it with some blended a little coarser can give some good results….if she gets that spoon to her mouth! She can chew and swallow lumps well now but it seems to be the actual texture of the lump that makes her spit it out….so as always we start gradually and slowly mix half and half until there is more lumpy than blended. By freezing foods I make in batches I can also keep trying them regularly even if they weren’t touched the first time around! The reason I like using a Mouli is because I have 3 different sized hole plates that I can insert. We have now moved onto the largest hole plate and are having some success but it has been a slow process….nearly a year to get here! Hopefully just roughly fork mashed meat is next before finally getting to meat as a finger food! I decided to get a little bit more creative with the presentation of food on the plate and in the girls little lunchboxes. Although I have seen some wonderful Bento type lunches across the web (and been very inspired) I just don’t have the time when feeding twins to go to that amount of effort! When I saw a post on snack boxes for kids from the wonderful Learn with Play at Home I knew I wanted to give something similar a try! My idea was to give Ruby a few different choices at each mealtime rather than overwhelm her with big serves of something she probably wasn’t going to touch. I wanted to have some small sections on her plate or in a lunchbox that might entice her to try a little something different. I always include a few of the foods I know she will eat but I also include something new and something she has touched before but not actually chewed and swallowed! Instead of the lunchbox compartments like Deb uses in her post I decided to collect some inexpensive silicone patty cake liners as well as a few novelty ones from ebay. Here are a few examples of recent lunchboxes…. I was one of those Mum’s that loved making baby purees and all sorts of homemade food bursting with goodness…the trouble was that it often wasn’t eaten by Ruby once we moved past the puree stage! After talking with the OT and dietitian I learnt that it was ok to let go a little and just focus on what Ruby liked and would eat rather than the fact that she wouldn’t eat my homemade chicken nuggets but would actually try a shop brought one straight away! I learnt that a little salt makes things a lot more palatable for Ruby and this is ok. I learnt to let go of the feeling that I was a bad mother because she wouldn’t eat my homemade food! She is actually coming back to it now but it has been a journey of discovery and letting go of preconceived notions! The most important thing at this stage is that she eats….she tries, she sniffs, she feels safe….then we move onto the foods I want her to eat. Always remember that interacting with, smelling and touching foods are important steps towards eating. It’s so important that we always praise and encourage our sensory kids for interacting with food even if it doesn’t make the mouth each time. I know it’s hard to do at times…especially when you are despairing of them ever eating a ‘proper’ meal which hasn’t taken hours of agonising over on your part beforehand…but it’s important to both child and parent to acknowledge, praise and move forward! I am still trying new strategies with Ruby everyday but when I step back and look at the bigger picture now that she is 2 I can see the progress we have made. There are still big hurdles to overcome but I think the hard work is paying off…yesterday I watched her eat a handful of spaghetti with some bolognaise sauce mixed through…a lump left in here and there. I know that might not seem like much to many parents but to me it was a huge achievement and I wiped a few tears away as I watched her enjoying food that I had made and that everyone else was eating. 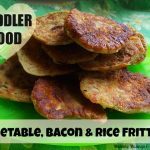 For more inspiration and articles on toddler food and SPD you might like to visit my Pinterest Boards.. I also find the blog Your Kid’s Table a wonderful resource. Alisha is a pediatric occupational therapist who specialises in feeding therapy and sensory processing and she has some wonderful articles and ideas for parents! If you are an early childhood educator reading this I encourage you to keep an open mind when it comes to children being labelled as just ‘fussy eaters’. Don’t be afraid to dig a little deeper under the surface, take meaningful observations and open a line of communication with the parent or carer. Provide information and referral support if required and above all listen to and respect the child’s voice and individual needs. When I first wrote this article I was feeling very alone and like no one really understood what I was going through as a parent – the only advice I was receiving was from people talking about ‘fussy eaters’ and ‘just leave her, she will eat if hungry’ (no she didn’t!). Since then I have received many, many emails and also comments below letting me know that this article has helped others going through very similar issues with their own children. I’m always asked how Ruby has progressed and I understand that because when you are in the middle of this process it can be so very overwhelming and you want someone to tell you it’s going to get better. Well I want to let you know that in our case the hard work did pay off – we kept up with all the strategies above and continue to do lots of sensory play (including with food). Ruby (now 6 years old) eats better than her twin sister ironically and is mostly happy to try foods with new textures and smells. At times she is still cautious and there are things she will not touch but we are many, many steps away from those earlier years. You will get through this – hang in there! 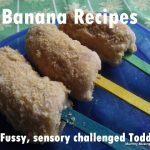 3 Banana Recipes for Fussy Toddlers! A Nutty, Yummy, Sensory Weekend! Sensory Sand Art for the Whole Family! « 5 reasons to explore our own Backyard…and not feel guilty! This is a GREAT list! My son has SPD & Autism and we have struggled with food issues since birth. He still only eats baby food and crackers right now, but the therapist we curently work with is great and incorporates most of the ideas you suggested above. Very helpful resource you listed here, thanks for sharing! 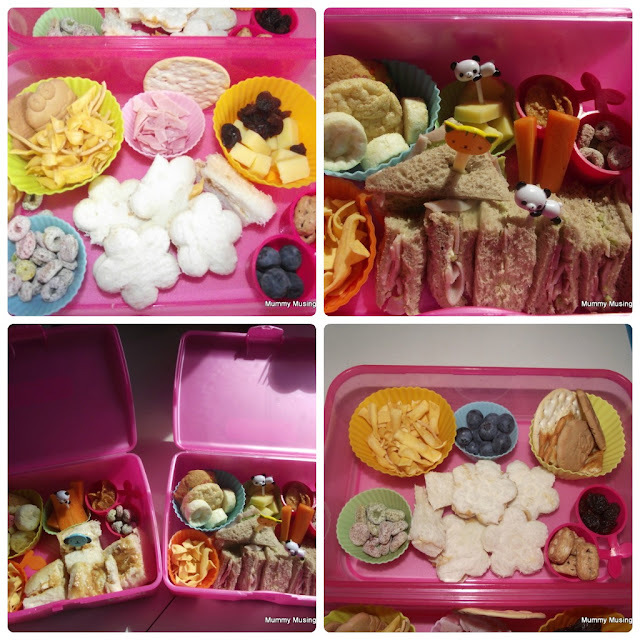 Thanks Debs…your snackbox method really was such an inspiration! You have come such a long way and should be really proud of your progress. My daughter does not have SPD but so many of these tips would help us out with her somewhat fussy eating, or reluctance to try new foods. Thank you! I am so glad I found this post! My son is three years old and this is exactly what he is going through with eating! Sometimes I feel as if no one understands what he is going through (or me, as the mother!). It has been a very frustrating road. It wasn’t until about 6 months ago that I discovered SPD and began researching it more. Reading this post has given me more ideas and confidence! I started tearing up just reading this today! There is hope! Thank you so much. I look forward to following your blog and learning from you! I am an OT who works with extremely picky eaters and I love you ideas and the way you presented them. Keep up the great work with your daughter! I also appreciate how much you stressed that it is a process that can take a long time and how important it is to move in small steps. I will definitely be sharing this post with the families I work with. My son has spd, speech apraxia, and 12 food allergies. Eating has been so very hard! He finally started gaining weight he is now porportionate foe his weight and height. This is a on going battle we will hopefully overcome. Thanks for this post! Wow what an amazing story! Prayer’s to you and your family. My daughter is 5.5 and has struggled w/ sensory challenges for her entire life. Her real sensory issues are mainly w/ eating. I’ve written my own blog about our issues, and I’m so excited to find another parent recommend so many of the same tools/activities we use with our daughter! I know exactly what you mean about how they “fear” food and the various textures of certain foods. She’s 5.5 years old, and we still have very few proteins she’ll eat. She loves dry, crunchy foods, but I do have to say how far we’ve come with the play interaction approach to food. You’re right. It is a very slow process, and as a parent we play a HUGE role in how far our kiddos come…but we need to focus on the small successes. For kids with sensory challenges success (no matter how small) is GIGANTIC leaps in their world. Thanks so much for sharing your story! I have a four year old with SPD and eating issues. I am always looking for ideas on how to expand his menu and how to reduce the anxiety he experiences with food. Thanks for sharing your ideas. I am now following your blog! Your ideas and innovation are inspiring! I plan to recommend your blog to parents of my special needs students who struggle with feeding! Thanks! What a lovely comment..thanks so much for taking the time to comment and also recommending my blog to parents of your students…i do hope it proves helpful as i know how stressful it can be! This is an amazing and helpful post. Pinning it. Very insightful. Found you on Pinterest. Great post! Very good information! Thank you so much, for such a great post! Our daughter is an undiagnosed SPD, but we already worked thru this with our son, 6 years ago, and are well aqainted with it. We thought we would just do this on our own this time, without the OT and what a load of new information, thank you!!! It is really going to help. At this time we are unfortunately also dealing with rice and corn allergy induced asthma. Do you know of any websites that can help a mom with rice and corn-free ideas for recipies and food presention? So glad some of this info proved helpful to you…i know i found a real lack of info when i was looking after we first realised the extent of the problem. Difficult with a rice and corn allergy as well…i really feel for you! i don’t know of any websites but will ask the question on my FB page for you…am sure there will be some in a similar position! thank you for putting this together! it sounds as if your daughter does not otherwise have issues and is typically developing? my son Jasper, 22 months, had an infant stroke at birth, mostly damaging the occipital lobe. so he is vision impaired, we don’t know to what extent this contributes to his sensory issues. I could’ve cried when I first read this, very much like Jasper. very frustrating trying to explanation to others that it is different from toddler pickiness. even my special mom friends do not really get it & give the impression I am not trying hard enough. i especially appreciate your suggestions, many similar to our OTs, and your level of detail and specific examples. many thanks again for putting this together! Hi Brenda…goodness you have had a rough time with your little one! it really is so very frustrating trying to explain about it not being pickiness isn’t it? i really think some people don’t want to hear me and are convinced i am just ‘giving in’ all the time! can I try this with my husband! lol! 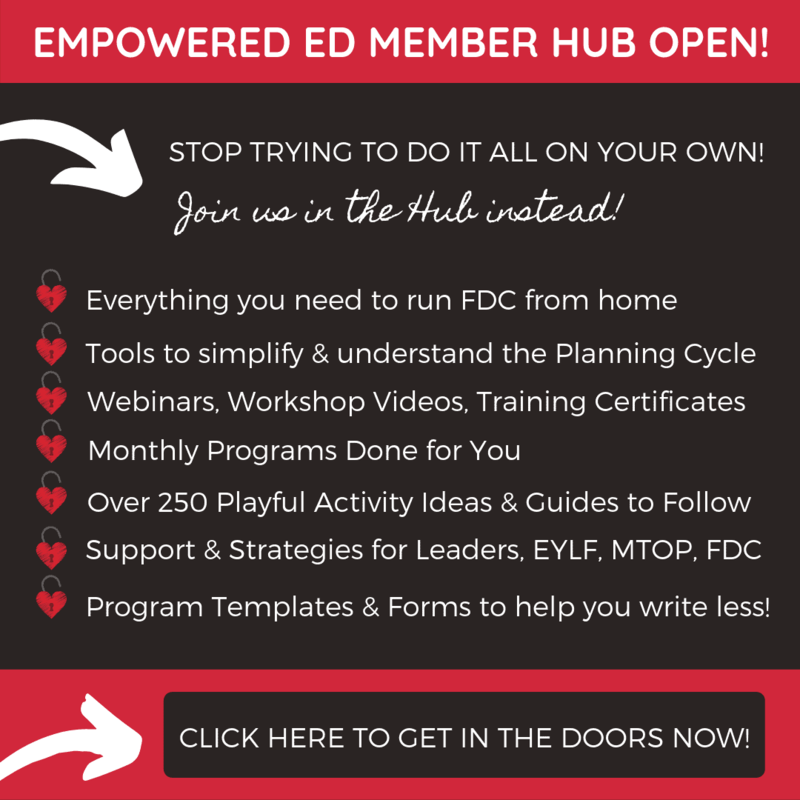 great tips for both at home & in my classroom…thank you for sharing! can’t wait to try some of these strategies & share them with others! I’m so glad I found this! My son has cp and also SPD and as I’m sure you know eating has always been a battle. We have been working on a lot but I learned even more from your post. Thanks! I have a son with severe picky eating difficulties related to sensory issues too. Your description of your toddlers entry to solid food matches our journey. He’s eight years old and your list includes many many of the things we have done with him too. Please visit my blog at http://www.foodaversions.blogspot.com to read more about our story and some of the other techniques we’ve used. If you don’t mind I’d like to mention your blog on my blog. I LOVE your ideas. They are right on target. I hope things are coming along a little easier for you now. Keep with it. Change happens. Thank you for this post, Jodie. My 3 year old has been an extremely picky eater since he was 1, and we’ve tried, failed and given up on so many techniques and ways to introduce new food to him. This is so helpful! SPD is such a tough boat to be in- I feel that we are sailing the waters alone- and advice from moms who don’t “get” SPD is plain frustrating. Thanks for the inspiration. We are trying the Bento idea and are excited for Willa to have FUN eating- even if her food list doesn’t grow, I’d love to see her happy to eat! Congratulations on such great progress with your sweet girl. That is amazing. Thank you so much for sharing your story and your strategies–my 20 month old is severely picky with texture issues–ped has recommended an evaluation, but he is making progress, so we will see. I can’t wait to try some of your ideas, and I am off to buy those Bento forks right away. Thank you again, and best of luck moving forward. You are a wonderful mom! Thanks so much for this, our situation is a little different as my 2.5yr is blind, but she displays many of the issues your daughter has around food. I love the way you have dealt with it and trusted in your own abilities. We live in the UK and have had no help despite my daughter dropping centiles from birth, now to the 2nd %ile. My daughter struggles with hard textures and is very reluctant to bite into foods, she will now with a lot of encouragement. She won’t eat more than a bite of a bread or cake texture, we think because of how it feels to swallow. She will happily eat bread in soup or cake in custard. She often holds food in her cheeks and takes an age to chew and swallow. Fortunately she now has a fairly balanced diet and meal times aren’t as long as they were. We also made a massive breakthrough when we started putting music on and not talking about the food. She is still spoon fed but will happily shove vegetables in her face by hand (and then ask for her hands to be wiped)! What a huge journey you have been on…I can only imagine the frustration but also joy you must face some days. So glad you had that wonderful breakthrough with the music…we have just discovered that music is helping Ruby too! Wanted to let you know that Ruby was the same with cakey textures and holding things in her cheeks but not swallowing. She has been moving on from this now thank goodness so hang in there! LOVE the animal bento forks! Got to get me some of those! We’ll definitely be trying some of the banana recipes. Thanks! I hate meal times with a passion as my recently diagnosed SPD 3yr old has not eaten food in general for the past 2 years. This has been so helpful and I am possibly even looking forward to future meal times to try some of these strategies out. Thank you for all your wise words! I honestly teared up reading this, as it describes the struggles we have with our beautiful 20 month old daughter. It is so nice to find someone else who has been through the same things. Way to go Ruby! And way to go Mama!! You have showed me there IS hope. One day my daughter may even like food!! omg this made me cry! we have a 5 year old who just stared kindergarten and has these exact same issues. We have searched high and low for answers and keep coming up dry. It is so nice to know we are not alone! I have been so upset, now that he is in school and still not eating. Thank you so much for posting this! this has been the most usefull thing I have found so far. I came across your blog thru a pin on Pinterest, and I just had to thank you for taking the time to blog about your experience. I have two children with mild-moderate SPD, and I appreciate reading about how things really could be worse as it puts things into perspective for me! As it is, though, when we parents don’t have the support we need, SPD can be a daily frustration, both in the amount of effort it can take to accomplish basic life tasks as well as in how frequently we must summon up enough adult will power to stay calm for our child’s sake when we just want to scream with frustration. It’s so refreshing to read about the experiences of others who’ve been there and who’ve learned to do their own research, figure out ways to make things work for their family, and to be satisfied with small successes. Wishing you and your family the best! a great way to get kids with SPD to eat toast is to let them paint it first with food colour and a little milk. My sons wouldn’t eat toast until we discovered this on Pin interest. We use the ipad at dinner just like you use the TV 🙂 Love your idea’s and will give the chair towel idea a try. Thanks blogs like yours make us realise we aren’t alone! I just want to thank you for sharing your strategies and especially your encouragement. I have a 3.5 year old who also began eating homemade purees. I felt really good about making his food. Then the solid stage hit and BAM! no veggies, no meat, no pastas. I haven’t sought a diagnosis just because I’m afraid of a label (a very hypocritical admittance since I’m a teacher who encourages parents to seek diagnosis to help their children). He has made growth in his variety and textures and I needed the reminder to realize those are huge for him. I’ve come to despise dinner time! Last week after an hour, I left my son at the dinner table and went to my room. I was so MAD! This has happened a few times and I always cry all night after he goes to bed because I feel guilty and horrible for getting mad that he won’t eat. I am going to try these strategies starting tonight. Thank you so much for sharing. I just want to thank you for sharing this! You have nonidea how much this has helped us! I realized that not indulging in messy play was directly related to my daughter not wanting to eat table foods. It is so important to get kids use tnt textures. This is how they learn. First they have to touch and smell things, and eventuallt their curiosity will get them to taste. After months of stressful meal times, I tried some of your tips. At first my little one was afraid to touch the samples of oatmeal, jello, grated cheese, crumbled toast and spaghetti that I plopped down in front of her. She stared at everything for about 10 mins. Next she poked at each sample then freaked out because her hands got messy (My fault. I always rush to clean her hands), I sat next to her reading a book and resisted the urge to clean her hands. All of a sudden she was having a ball squishing and poking everything. She even tasted the jello. I was in tears and hysterically laughing at the same time. Soooo, from now on we will have messy play everyday with samples of some of the foods she eats, just not all of them at the same time! LOL Clean up for mommy was a beast, but so worth it! Thank you so much! Just wanted to say you seem like an amazing mother! I congratulate you for being so creative and diligent- Ruby is lucky to have you. I am also a pediatric OT (and a fellow twin mom!) who specializes in sensory issues and think your list is a really good one for parents. Thank you for sharing it. The only one I would be cautious with using frequently is the distraction method while they are eating. 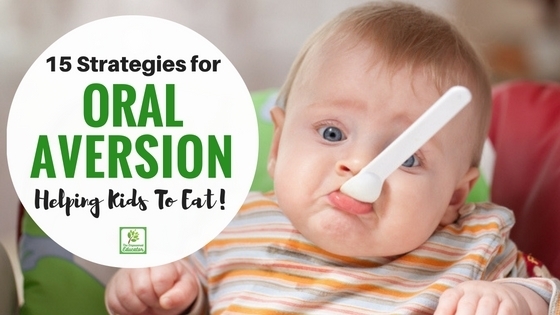 If your goal is to get the child eating the meal that is in front of them at the moment the technique works fabulously. But if your goal is to get your child fully experiencing new textures, tastes, smells etc in order to improve the range of what they will eat and their overall diet, then total distraction like what happens with the TV or iPad will work against you in the long run. I don’t think distraction with a toy is going to keep a child from experiencing their food fully, but TV and iPads have a particular effect that is hypnotic to the senses (the reason they work!) and are going to probably make the progress take longer unfortunately, since as you so eloquently put its really about experiencing the food in so many different ways. Fantastic post and wonderful site, thank you so much! My son has just been diagnosed with food aversion and we are beginning to do lots of food related sensory play and just about to start Food Chaining. I’ve linked this post to my blog, http://www.spidersandwiches.wordpress.com as I’m sure others will find it just as useful as I have! My daughter has SPD and used to ask for ice cubes before eating. I never understood why until the OT told me she was numbing her mouth in order to cope with different textures. Hi there, Some really informative information Im hoping maybe someone has had some experience with my sons case. His name is Lucas, he was breastfed until around 6 or 7 months then we gradually integrated pureed food. Whilst I wouldn’t say he loved the food he did eat and continued to do so up until just before is 1st birthday (by this time he was eating solids) as we live in Brazil his staple diet is rice beans meat and a vegetable. After one he started refusing to eat one of his main meals everyday. By about 20 months he was more or less refusing to eat any of his meals or very little but continuing throughout this time to drink his formulated milk. After 20 months his gastro Doctor advised he had acid reflux and medicine prescribed (he had had occasions where he had terrible nappy rash. Nothing improved so we went to see a Doctor to determine any allergies. He has allergies to milk protein, soy and fructose. Unfortunately the only foods he likes are bananas, strawberries, bread, cheese, pizza, weve amended the ingredients to avoid the allergens but he dosent show much interest now. As hes been without fructose for 4 weeks its now been introduced in small amounts to try to build a tolerance, again he like his strawberries and bananas, he will chew meat also but seldom swallows it. What I found quite strange was when he tries foods even the ones he like his tongue comes out to touch feel lick the food first before he determines whether to eat. He’s due to be assessed for autism in the next week, I agree looking at the signs symptoms he has some. He has a speech delay and dosent speak with clarity yet he has a very decent vocabulary in both English and Portuguese. He interacts but not to a high level and whilst his eye contact isn’t great he does have it. He plays with toys, loves the park swings, watches tv, tries to ride his bike etc. We are desperate though to have him eat, anyone have advice or gone through similar? Thanks for the great post. We are in the process of researching our toddler sensory feeding issues. He never has gagged or vomited, but he is similar in he has his favorite food – crackers for example. But he does try a bit from everything – fish sticks, shrimp, chicken nuggets, apples, apple sauce, cereal, brats, grilled cheese – basically anything that is crunchy (minus the apple sauce/baby food puree’s). But if you try go give him something new or sneak it in with say a cracker – most the time just spits it right back out. He was in the 98% for height for till he was 15 months old, then he got sick at Disney – horrible puking and since then as not gained weight and avoided solid foods. Glad to see others out there with similar situations and happy to hear Ruby is eating better than her twin! Thanks for sharing. Omg i just started crying reading this. my little boy was born 3 months early (11weeks) and i have struggled to get him to eat. He had various things going on that contributed to it – being incubated and having a feeding tube apparently leaves a muscle memory that causes an ‘oral aversion’- he had cmpi and very bad reflux so spent a lot of time vomiting among some of the things. As a 19 month old he will actually gag and vomit from touching grass, leaves, egg, tomato and pasta to name a few. He’s been to the speech therapist but doesnt fall into the level requiring therapy. Every day is a struggle finding something he’s willing to eat. I have not come across spd before and found your tips and comments helpful. Thanks. I stumbled upon your page through Pinterest and delightfully so. The struggle is a real one here daily and I am going to try some of your strategies. Our little guy is almost 23 months and sees a speech pathogist that specializes in swallowing disorders. He also had his tongue ties which we did not know until he was 1 1\2 and then they clipped it. Thank you for sharing. Good luck with your journey. This is a wonderful post! There are so many ideas that you are sure to find something that works or are at least pointed in the right direction. I think you are right on target. Any mother reading this will probably be relieved to know she is not alone:). 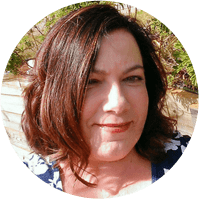 Thanks Crystal – I really love that this article is helping other parents to feel less isolated and helpless with this topic as it can be so overwhelming that’s for sure! Great informative post!. What is a facewasher? U said u use this in your routine, but not sure what it is? How is she doing now? I see this post is afew years old. Also, how do u introduce the messy play to a child that completely avoids it? WIth my son, he goes the other way & when I carry him over he cries & screams to get away. Any tips for this? Should I start with having him sit for a certain amount of time, even if he is screaming to get away? Hi, Jode! I’m so so thankful for your posts on SPD! My daughter is only 16 months old and has severe sensory issues (among several other diagnoses), and every day is a struggle for us. 🙁 Thank you for sharing! Thank you for all the great info. Our son was born with yeast ulcers in his esophagus and stomach and has developed an adversion to food and now has developed texture issues as well. Do you have a blog I could follow? This post gives me hope! My son is 2 and also has feeding issues. He would only eat smooth purée and yogurt. He’s been trying to explore with other foods more, and would actually take bites of them (though not really swallowing). It’s been so hard when other people ask why he just eats purée. I’m kind of getting tired of explaining to people why. They don’t really get it most of the time anyway. Thank you for sharing your journey. It’s good to know I am not alone and that there is hope. I guess it’s been a few years since this post, I hope Ruby is doing great! Have a blessed day! I am so grateful for this post! I personally identify with Ruby – and want to honor how much work and love and nurturing you’ve described to support her journey. When I got pregnant I was pulled back into my body and forced to look at many years of sensory issues that I had dissociated and stepped out of my body from because I didn’t have the support at the time… including oral sensory sensitivities. I relate to the fear and distrust of foods that you described in Ruby (with the potential of reverting in each layer of growth) and the amount of experimentation you’ve done in order to Mother her through it, that is the mothering I’ve been having to slowly unprogram and accept for myself. And way to go Mom!!! My daughter was born at 28 weeks and has a rare kidney disorder. Eating has been an issue from day 1. She has had an ng tube most of her life. She is behind on solids…. one day she will take 5 bites of banana and then she won’t ingest anything for a week. We do lots of play and keep “mealtimes” fun. One day at a time right? Again, thank you for this article. My grandson had spd and will not eat anything but baby food. Every day is a struggle . Any info u could send on feeding would be great. Thank you so much for this post. I’ve been struggling with my 16 month old son and feel like no one understands me or takes his issues seriously, including family and doctors. As a baby, I knew something was different when he had a fever and I could not get medicine in him without him throwing up. He would also throw up and gag in strong wind or when crying, all before starting solids. At 11 months he finally opened his mouth for purees but eats very little and won’t use bottles or cups. I am looking at returning work but so worried about weaning because that is the bulk of his nutrition, and as u stated he won’t just give in and use a cup or eat because he’s hungry. I am slowly making progress with him but so worried that a daycare will not provide the support he needs. Did you breastfeed? If so, when and how did u stop? I still plan to nurse at night as long as he needs but would like to wean during the day. I am looking to see if he’ll qualify for some free therapy to help transition to daycare and eating without me, but as the rest of his development is on track, I’m not sure if he will. Did your daughter have any other issues? Because he otherwise seems normal, everyone feels I am babying him and overreacting, but as the one working with him everyday, I know it’s not normal and it’s so frustrating. Thanks again for this post. I’ve tried many of the things and will continue to try more but needed the reminder that it is a slow process and that I’m not alone.